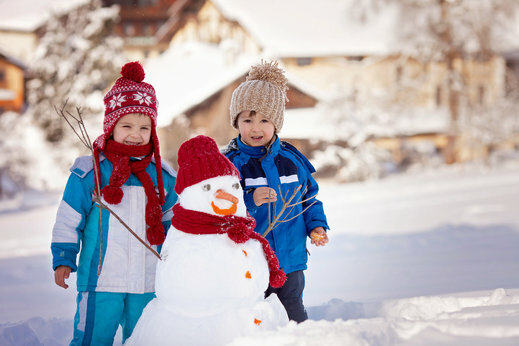 ← Why Should You Let Your Kids Outside This Winter? The holiday season is here. While it is a fun and festive time of the year, it can also be a busy one for preschoolers in a children’s Montessori center in Anaheim, California. Lots of fun events and activities are facilitated during the holidays, both at school and at home. Because of this, your young ones can―and will―experience holiday stress and anxiety. The most important way in which you can help ease your children’s anxiety is by maintaining a calm and stress-free demeanor yourself. Keeping things relaxed and taking steps to handle situations set perfect examples on how your young ones themselves should behave. After all, learning to manage stress while still in their early education phase can help kids become more capable of dealing with their responsibilities. A wrench on your household routines can also contribute to holiday anxiety in your children. To minimize this, you have to make sure that your routines are still in place or that they are back on track in spite of the different school activities that your preschoolers have to attend to in their Montessori school in California. Fresh air and exercise cannot be emphasized enough in the face of the cold holiday season. Encouraging your little ones to be physically active helps boost their mood and reset their spirit, which can alleviate the stress and anxiety they feel. This entry was posted in Child's Wellness and tagged Child Development, Holiday Season, Physically Active. Bookmark the permalink.